This breed is often confused with the Old English Sheepdog (OES). They are very easy to tell apart. The Bearded Collie is a Collie and Collies all have tails. An Old English Sheepdog does not! They are relatively large dogs that top out at about 50 lbs. The Bearded Collie does look like a Sheepdog though. They have a thick, long coat that has to be combed and brushed daily with periodic shampooing. Bearded Collies make a great family pet and loves children. Like Labradors, Bearded Collie dogs have that gusto for life and when around children can easily knock them over! You can keep this dog in an apartment but you will have to exercise it daily. Better yet is a suburban or rural environment where the dog has plenty of room to romp and play. When this breed plays they tend to bounce like a ball. They have done this in my waiting room in Ohio! This breed is reasonably healthy but the ones I have treated have had endocrine diseases like thyroid deficiency. Outside of that and hip issues as they age, the Bearded Collie is a fabulous dog and makes a great companion animal. 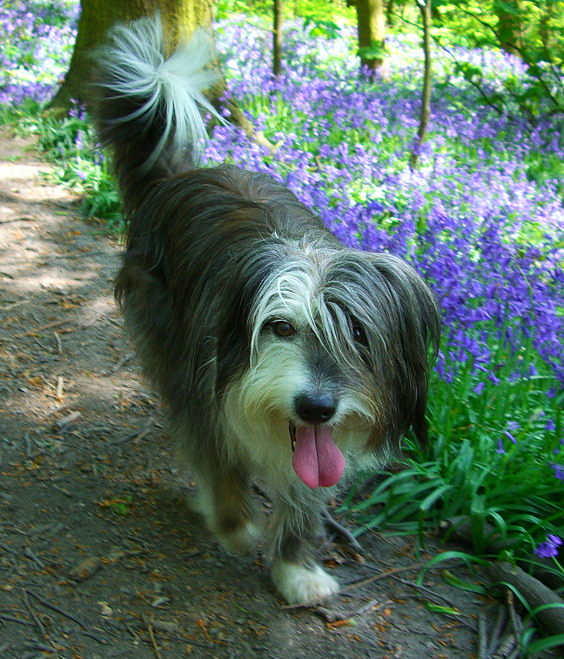 Learn more about the Bearded Collie at Animal Planet’s® Dog Breed Selector.